A Welsh language religious periodical that was intended for the Sunday Schools of the Calvinistic Methodists in north Wales. The periodical's main contents were religious articles and Sunday school lessons. Originally a monthly periodical from August 1860 onwards it was published bimonthly. 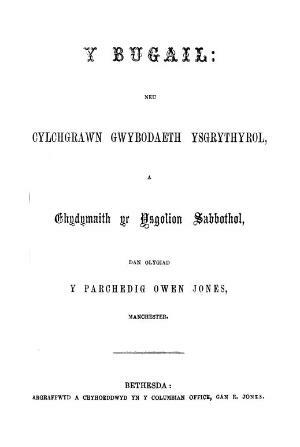 The periodical was edited by the minister and author, Owen Jones (Meudwy Môn, 1806-1889).